Happy Monday, y’all! I hope you’re slaying this week with so much joy and buckets of fun. Today I’m sharing a classic recipe for peach lattice pie along with a gift guide for the Dads that we’re celebrating this upcoming Father’s Day. Let’s get started! You know, we don’t spend enough time loving on the guys around here. 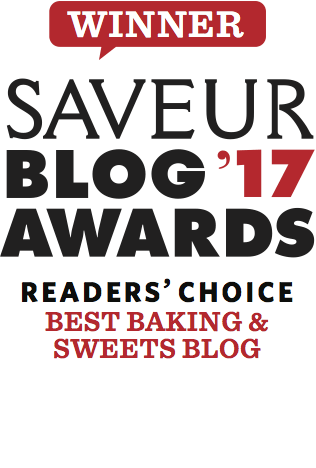 It’s not uncommon for me to roll my eyes or poke fun at my husband on the pages of this blog, but the truth is that he’s a killer dude and dad, and he deserves all the gratitude and recognition my wallet has to offer. 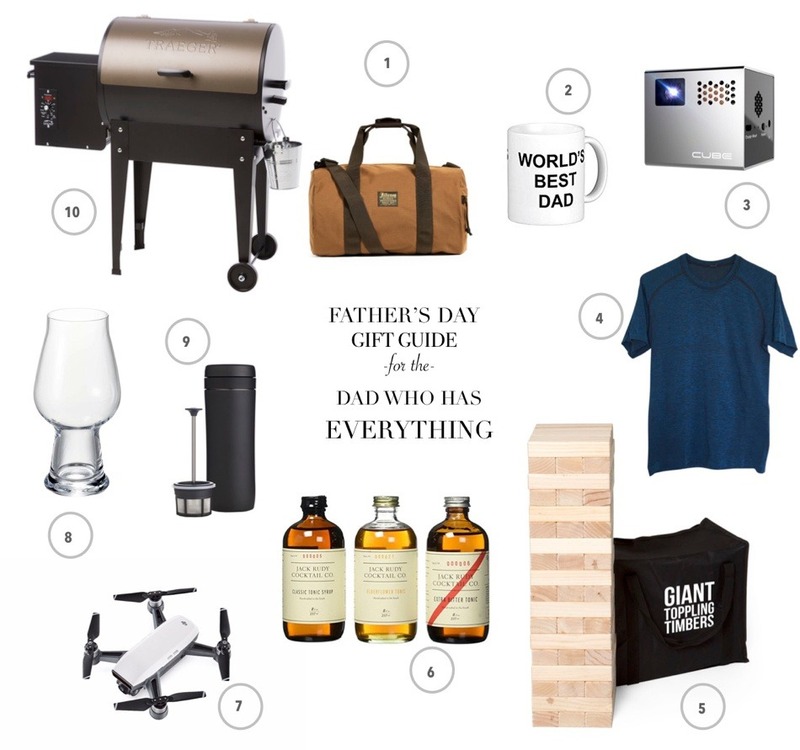 Thus, I give you the gift guide for the Dads who have everything. No need to stress over the perfect present- I’ve done it for you. Filson Duffel Bag– The manly choice for luggage, Filson’s rugged design is durable and time-tested, the perfect gift for a guy on the go. World’s Best Dad Mug– Calling all “The Office” fans! You dad wants this Michael Scott-inspired mug. He needs it. He deserves it. RIF6 Cube Mobile Projector– A 2 inch movie projector with built-in speakers and a LED display so that you can make a movie theatre out of your smartphone or computer wherever you are. Lululemon Metal Vent Tech Shirt– This shirt contains Silverscent technology that inhibits the growth of odor-causing bacteria. No more stinky laundry here. Toppling Timbers– LIFESIZE JENGA. Enough said. Jack Rudy Tonic Trio– Quality small batch bar goods for your mixologist man. DJI Spark Drone– If your dude doesn’t have a drone yet, now is the time. Craft Beer Glasses– Italian glassware fit for even the thirstiest of beer snobs. Espro Travel French Press and Mug– This is the on-the-go version of the double filter French press that I use at home. Get this for the guy who needs good coffee, even on the run. Traeger Pellet Grill– My husband FLIPPED over this grill. With the versatility to grill, smoke, bake, braise, roast, and BBQ, Traeger grills provide consistent results and excellent taste, all wrapped up in a unique and aesthetically pleasing design. Check out their line of grills! If you, like me, have found that the way to your Dad’s heart isn’t gift but food, I’ve got ya covered on that end too. 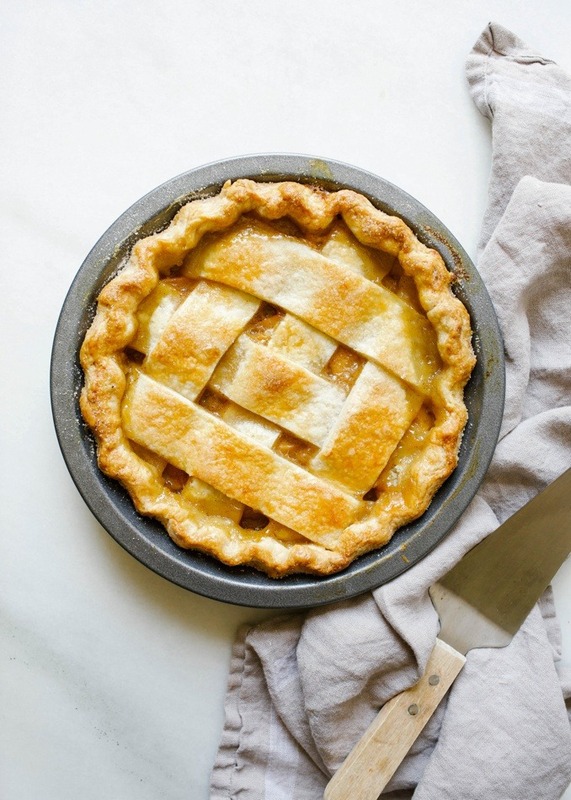 Look no further than this peach lattice pie. 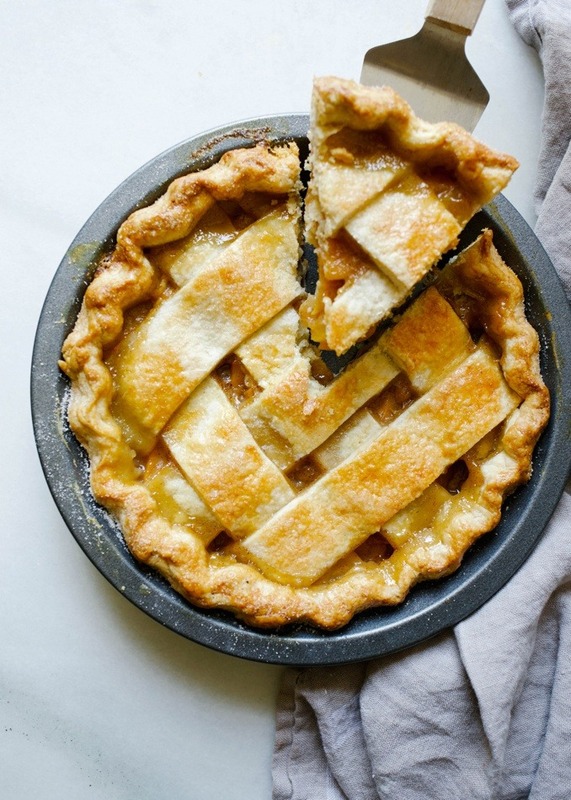 With a bourbon and butter filled pie crust and a cinnamon scented peach filling, this peach lattice pie is the perfect treat to make for your guy this Father’s Day. To make this peach lattice pie, we start with the crust. The dry ingredients are stirred together before a healthy amount of butter is cut in. The seriously special part of this crust is the bourbon. Where normally we would add icy water to the butter and flour mixture, here, a smidge of bourbon is added to the water so that our crust just barely rings of those yummy caramel flavors. Once the crust comes together, set it aside to chill in the fridge while you prep your filling. A whole pound of fruit fills this peach lattice pie. Sugar, thickener, and the smallest bit of cinnamon round out the remaining ingredients that will stuff into the pie. Stir it all together and allow the fruit to get sweet and juicy while you roll out dough to line the pie plate. Scatter the filling into the plate and lattice the pie closed. Bake in the oven until the crust is golden, the fruit bubbling beneath it. 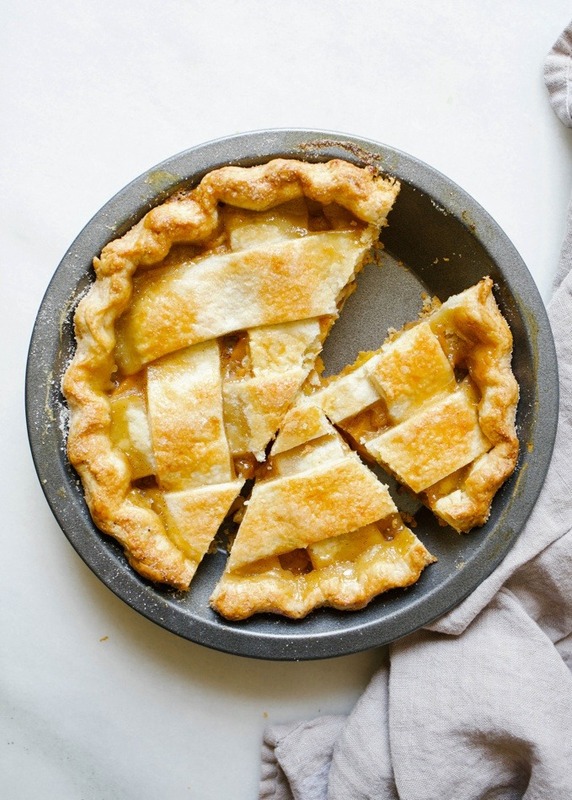 I’m thrilled to be sharing this peach lattice pie from Amber Wilson’s new book, “For the Love of the South.” A fellow Southerner (she even graduated from my alma mater! ), Amber captures the essence of the South with her words, recipes, and flavor combinations. Although there were a number of recipes that begged to be made, I knew this peach pie would be a surefire hit at home. 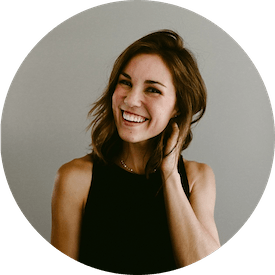 I’m honored to share Amber’s work with you today, and I hope you’ll check out her book soon. Don’t forget to love on the Dads in the coming week. Stay tuned for a second recipe that will be coming at the end of the week! Happy baking, y’all! 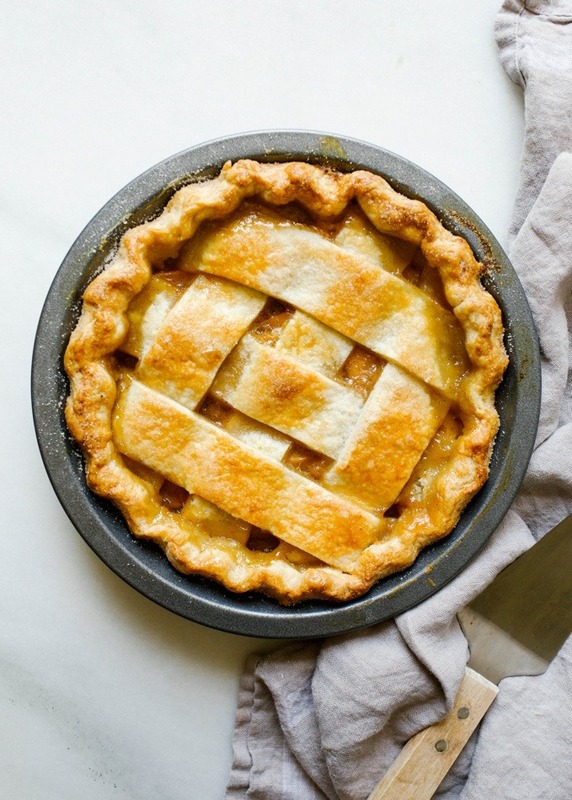 This peach lattice pie has an all-butter crust that is spiked with bourbon and a cinnamon and lemon zest scented filling. 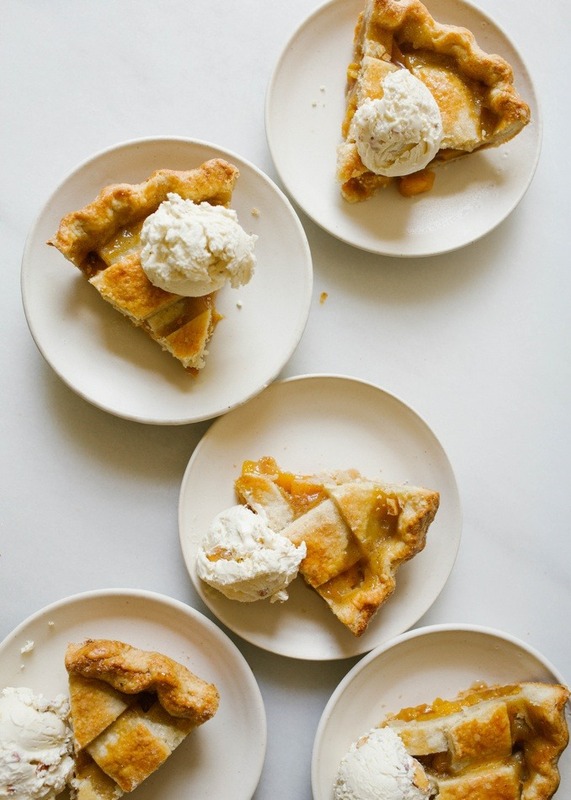 A fun take on a classic Southern dessert, this peach pie is hard to beat! In a stand mixer fitted with a flat beater attachment, combine the flour, salt, and sugar with your fingertips. Add the cold butter and mix until the dough looks like coarse sand. Turn the machine off and blend any large pieces of butter with your fingertips, making sure there are no pieces of butter larger than the size of a pea. In a measuring cup, combine the bourbon and ice water. With the stand mixer on low speed, slowly dribble in the bourbon water one tablespoon at a time. Add just enough liquid for the dough to pull away from the sides of the bowl. (You may not need to use all of the bourbon water for the dough.) Pinch the dough between your fingertips ; it should be smooth, not sticky or crumbly. Gently press the dough together. Divide in half and gently shape each half into a flat disk. Wrap each disk in plastic wrap and refrigerate for at least 30 minutes and up to 3 days. In a large bowl, combine the sugar, lemon zest, cinnamon and vanilla seeds and rub between your fingers to combine (this infuses the sugar). Add the peaches, sea salt, and cornstarch. Toss until the peaches are evenly coated. On a lightly floured surface, roll out one piece of dough, rotating in quarter-turns, until 12-14” in diameter and 1/8” thick. Gently fit the dough into a 9” pie plate. Trim the edges of the dough with scissors, making sure to leave at least a 1” overhang. Crack the egg into a small dish. Without breaking the yolk, use a pastry brush to gently coat the sides and bottom of the pie shell with a thin layer of egg white (reserve the remaining egg for brushing the top of the pie). Place in the fridge for 30 minutes. Meanwhile, roll out the remaining disk of dough, rotating in quarter-turns until 1/8” thickness. Cut the dough into six 1-1/2” wide strips. Place the strips on a baking sheet in the refrigerator until ready to use. Tumble the peaches into the chilled pie shell. Scatter the butter over the peaches. Place three strips of dough on top of the peaches horizontally. Then, one by one, place the remaining strips vertically, lifting every other horizontal strip to create a basket weave lattice. Trim the edges with scissors even with the bottom crust. Gently press to seal the edges of the pie dough so the top and bottom crusts seal together, then carefully roll the crust over itself so that the rolled edge sits on the lip of the pie plate. Crimp the edges. Beat the reserved egg and gently brush onto the edges and top of the pie. Sprinkle the top with sugar. Place the pie in the fridge for 20 minutes to set the pastry. Preheat the oven to 425 degrees. Line a rimmed baking sheet with a piece of foil. Place the pie on the lined baking sheet and bake in the oven for 20 minutes. Reduce the oven temperature to 375 degrees and bake until the crust is golden brown, about 30 minutes. Cover the edges of the crust with foil if it is browning too quickly. Let cool on a wire rack for an hour if you can wait. Leftovers will keep at room temperature for 2 days or in the fridge for 3 days. oh hooray! I’m just thrilled to hear this! Brought two of these beauties to a party last night and they were a huge hit! Perfectt and oh so yummy! Thanks for another awesome recipe! I’m ordering Ambers book now! yes! oh I’m thrilled to hear this. music to my ears! Ohh this looks so delicious Kate. Will bake this weekend… can i substitute Bourbon with lemon juice instead. Just curious. OH MY GOSH. Bourbon in the crust?!?! My mind just exploded. My husband is going to go crazy over this pie. I am definitely going to be making this. And that gift guide is great! I had never seen that Cube projector. So cool. Why do you leave the peaches unpeeled. Seems odd. Is that traditional?